We value all our members whatever contribution they wish to make. Financial members are important to our work at Glenfern Valley Bushlands because they show commitment and extent of community support. Members who volunteer with hands-on projects that regenerate the Bushlands are vital for our long term progress and their help is greatly appreciated. 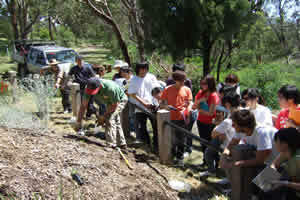 Members and volunteers helping out at Glenfern Valley Bushlands on Clean-Up Australia Day. Volunteers make a difference to how much is achieved at Glenfern Valley Bushlands. 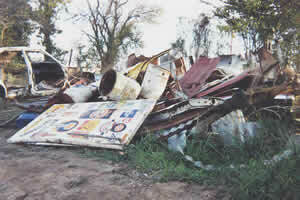 They have happily helped pick up tonnes of rubbish, planted hundreds of plants and weeded acres of bush. We are lucky to be part of a strong local community and have the support of a number of businesses from the area. 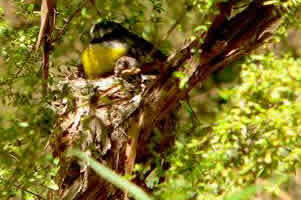 Glenfern Valley Bushlands is becoming a popular destination for a variety of visitors. Many people who come to walk and explore the Reserve are delighted to discover the number of birds and plants that are there. 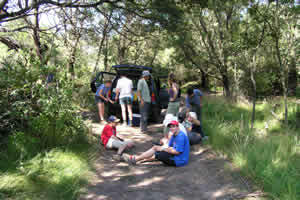 Others take the opportunity to sit quietly on one of the bush seats and enjoy the natural surrounds. Some bring their dogs for a walk - on a leash as wildlife share the Reserve with us. 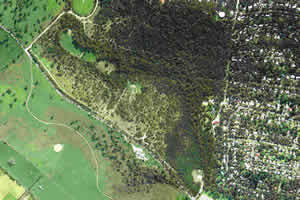 Picnickers can be seen occupying the tables and joggers use the tracks as part of their exercise routine. 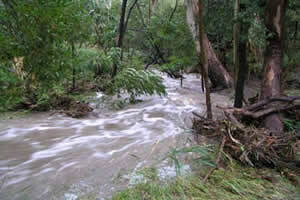 Whatever the reason to visit, Glenfern Valley Bushlands will please and surprise. We are fortunate to have formed alliances with the local and wider community who give us great support and help in a variety of ways.